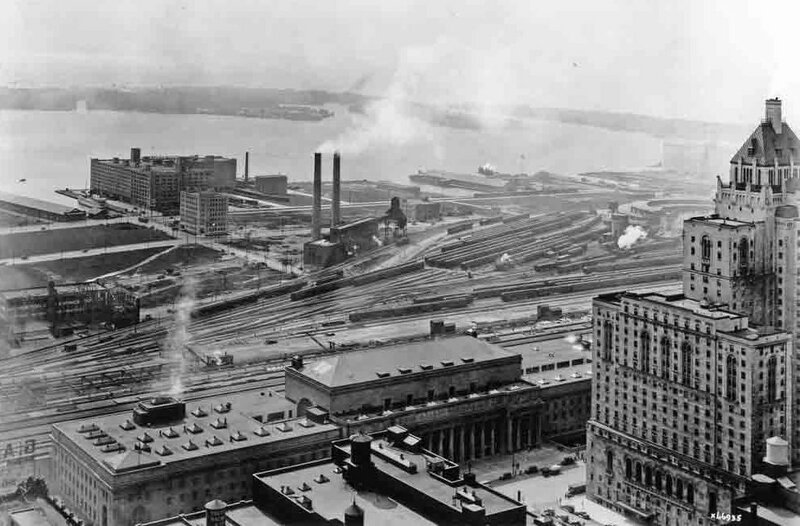 Working through my backlog, I recently came across Owen Temby's 2015 article in Planning Perspectives, "Policy symbolism and air pollution in Toronto and Ontario, 1963–1967". The article has an interesting take on the secular movement of environmental regulation from the local level to higher levels of government. The argument that industry had more influence at the provincial level than at the municipal level is interesting since environmental groups are also often assumed to prefer higher levels of government, where they can better concentrate the diffuse environmental interests of the public. The article also cuts against the assumption that local regulation was relatively weak, and that the national-level regulation of the 1960s and later was some kind of victory for environmental interests. Food for thought. In 1967, jurisdiction over clean air policy in Toronto and the rest of Ontario's municipalities was transferred to the provincial government. 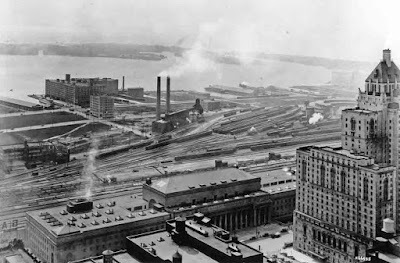 Even though the municipalities had obtained extensive authority to regulate air pollution within their own boundaries nine years earlier, the vast majority (apart from Toronto) had not developed clean air programmes. Yet air pollution was a highly salient issue that aroused considerable public attention and local activism. This paper provides an account of the provincial takeover in air pollution, focusing on two factors enabling the Ontario government to pass two statutes transferring authority from municipalities to the provincial Department of Health. First, despite resistance in Toronto, the policy change was favoured by industry, which had more influence in the provincial government than across municipalities. Second, the inherently symbolic features of clean air policy allowed the provincial government to satisfy public demand for action while not appreciably creating more stringent regulations. These findings are consistent with studies of US clean air policy displaying a similar tendency among industry to support regulatory standardization across broad political scales.